Dave and I were talking after yoga and he asked me why we do handstands and headstands during our practice. I’m not a certified yoga instructor, and I don’t have all the answers but I do know that yoga is about balance and energy flow. Of course this sparked my interest and I thought it would be fun to put together a list of the reasons why I like to do handstands and share them with you. I’d love to hear your thoughts as well! I realize none of that list had anything to do with yoga!! So what are the benefits of inversions, particularly handstands, and why are they in our yoga practice? Let’s go over the easy reasons. 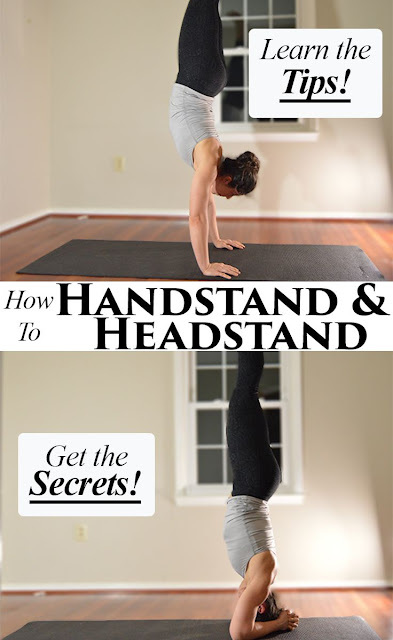 Handstands help build shoulder, core strength, and they challenge both your balance and your control.